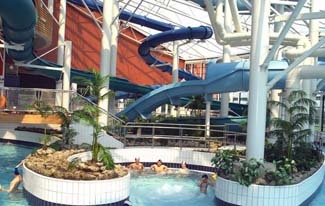 AquaZone has some of Europe's biggest and best water rides with something for everyone! AquaZone at the National Aquatic Centre is one of Ireland's most popular attractions and the emphasis is on fun for the whole family. If you crave extreme thrills, raging water adventures, flying through the air, or just an enjoyable day with your family, AquaZone has some of Europe's biggest and best rides with something for everyone!